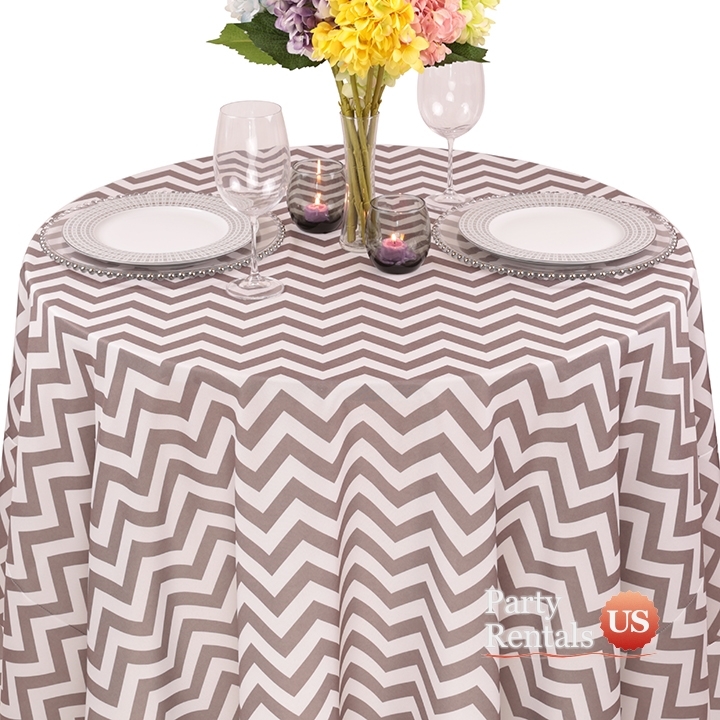 When you want to make an impact on your guests, cover your tables with a chevron print polyester tablecloth. This bold pattern includes a series of "Vs" that form a zigzag effect. Your guests will be delighted as they enjoy some delicious food.